China’s relations with its neighbors have evolved since 1949, and in the 21st century many scholars argue that China’s rising power has led it to be increasingly domineering over those smaller countries in Northeast, Southeast, Central, and South Asia. The evolution of China’s regional relations needs to be examined comprehensively, since China counts twenty-seven countries as its "neighbors" large and small. While China’s official policy toward all of these countries is to treat them as "good neighbors" and "partners," some of these relationships have been spectacularly deteriorating, while others have been quietly improving over the last two decades. 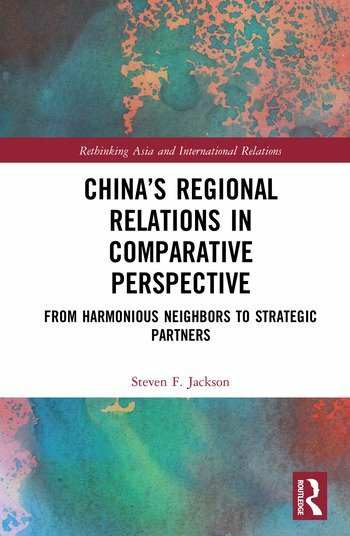 Jackson takes a comparative foreign policy approach, and compares China’s status as a regional hegemon with the United States, Russia, India, Brazil, South Africa and Nigeria. The result is a broader theory as to why regional powers are sometimes intimidating and at other times accommodating. An important contribution to studies on China, this book will prove useful to scholars and students in Chinese and Asian foreign policy, comparative foreign policy, and international relations. Steven F. Jackson is professor of political science. After receiving his bachelor’s degree in International Relations from Stanford University in 1981, he taught English in Xi’an China from 1981-83. He received his Ph.D. from the University of Michigan and joined the faculty at Indiana University of Pennsylvania in 1994. His area of specialization is in Chinese foreign relations, and in particular in particular China’s regional relationships, such as with East Asia and Africa.